Although Apple's latest cellular iPads include a carrier-agnostic SIM card, users shouldn't get their hopes up for an iPhone version. 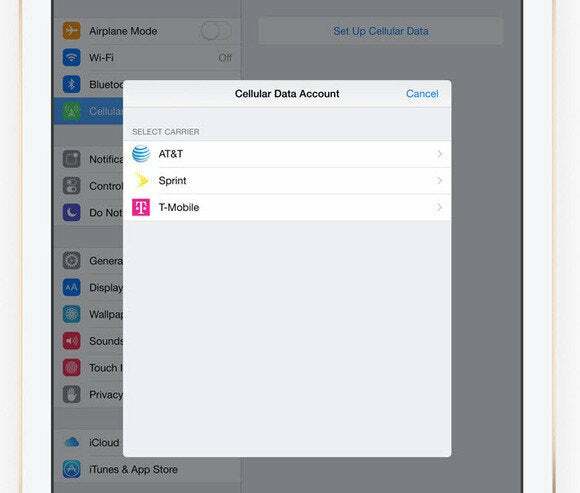 The so-called Apple SIM works with AT&T, Sprint and T-Mobile, and lets users select their carrier through the iOS settings menu. Because it's theoretically so easy to switch between carriers, some tech observers have hailed the carrier-agnostic card as a disruptive force within the wireless industry. But Apple doesn't see it that way, at least not yet. According to Greg Joswiak, Apple's vice president of iPhone, iPod and iOS product marketing, the company hasn't even discussed putting the Apple SIM inside of smartphones. Speaking at Re/code's Code Mobile conference, Joswiak explained that most iPhones are sold through wireless carriers, and they won't be so eager to hook customers up with a SIM card that facilitates easy switching. “I don't think you're going to go to the Verizon store and say, 'Can you hook me up with AT&T? '” he said. As for why the iPad includes Apple SIM, Joswiak said the company sells most of its tablets through the Apple Store, where it's just easier to give customers the iPad and let them choose the carrier themselves. There's also another reason that Joswiak didn't mention: With the iPad, Apple sells a single cellular model that works with any network. But with the iPhone, it's not so simple. Verizon and Sprint don't use SIM cards for voice service, and they don't provision their phones for each others' networks. An iPhone purchased through AT&T or T-Mobile won't work on Sprint's network, and will only work with LTE data on Verizon. A carrier-agnostic SIM card alone doesn't resolve those issues. The story behind the story: Even on the iPad, the Apple SIM is making waves. Verizon has decided not to support it, which means users can't activate their tablets on the network without ordering straight from Verizon or visiting the carrier's store. 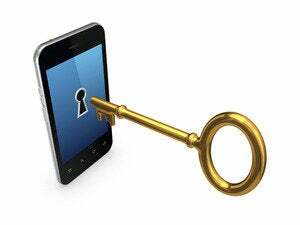 AT&T locks the Apple SIM to its network after users activate it, so they can't switch without getting a new card. It's hard to believe that Apple hasn't thought about bringing its agnostic SIM to the iPhone, but right now it wouldn't do much beyond creating more carrier drama.